Up and out. These are the two general directions in which the luxury residential housing market appears to be heading in 2015, according to the latest Luxury Market Report published by Coldwell Banker Previews International®/NRT. The report tracks real estate trends and market activity in top luxury cities across the United States, as well as one of the world’s most expensive places to live — Monaco. 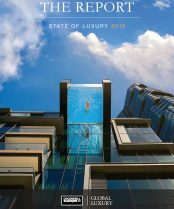 Here is a snapshot of what’s inside the second Luxury Market Report of 2015. 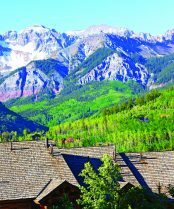 Previews Top 20: ZIP Codes and Cities for Luxury Sales and Listings — An exciting trend emerged this year: second-tier luxury cities such as Houston, Dallas, Atlanta and Seattle are rising due to organic price appreciation in the $1 million+ categories. In terms of ultra-high-end marketplaces, it always seems to be a tale of two coasts, with California and Florida leading the charge. Survey: Wealth, Real Estate and the High-Net-Worth Investor — Previews® partnered with respected global research firm Ipsos MediaCT for the first time to better understand today’s high-net-worth (HNW) individuals (defined in the survey as those with over $5 million in net worth, although 42% of respondents reported a net worth over $10 million). Their outlook on residential real estate as a wealth asset class was overwhelmingly positive. On average, they own 2.1 homes for either personal or vacation use, and 94% say they expect the value of their most recent real estate investment to grow 16% on average over the next five years. Many other intriguing buying trends and preferences are revealed in the survey, which can be downloaded in its entirety here. Domestic Spotlights — If you’re wondering where the next luxury gold rush is taking place, look no further than Seattle. The success and stock market performance of companies like Boeing, Microsoft and Amazon.com over the past several years, along with an influx of well-heeled Asian buyers, have produced a buoyant effect on residential real estate in the seafaring town. The number of units sold at prices $1 million and higher in 32 upper-end Seattle region markets during the most recent April–June period were up 49% from the same period in 2014, and up 75% from the second quarter of 2013. Not surprisingly, New York City is another booming luxury destination, as insatiable demand for luxury residences at ever-higher prices has encouraged developers to launch new projects on a massive scale this year. International Spotlight: Monaco — If there was ever a question about Monaco’s position in the race to become one of the world’s most sought-after luxury addresses, the latest real estate numbers from the tiny French Riviera principality have all but driven it out. From 2010 to 2014, the total number of real estate transactions increased by more than 69%. Residential sales especially soared in 2014 — a year that went down in history as Monaco’s best year on record. Want to get a more complete view of the high-end residential real estate landscape, city by city and demographic by demographic? 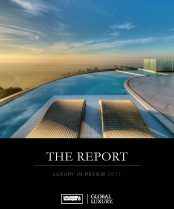 Download the full edition of the Luxury Market Report.